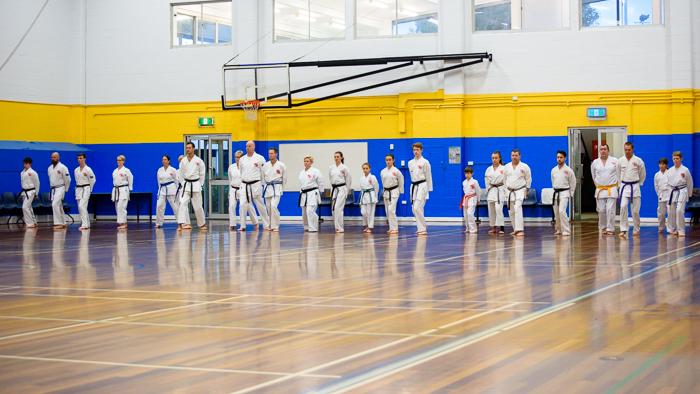 Over the weekend Friday 25 – Sunday 27 May the QLD Chito-Ryu Karate Camp was held at Tallebudgeera on the Gold Coast. 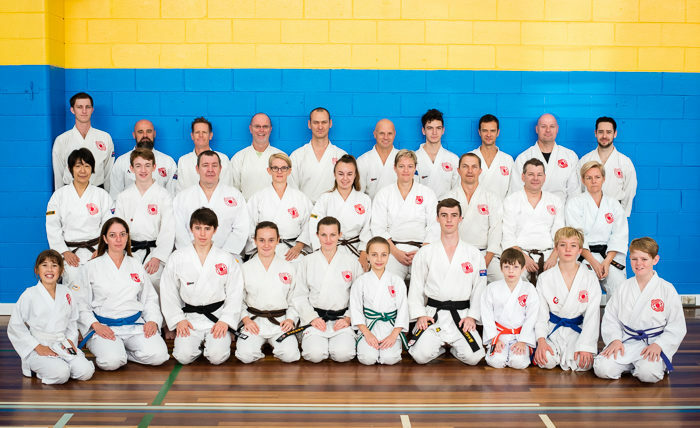 The camp was attended by Members of the Sunshine Coast and Gold Coast Chito-Ryu Karate groups with Shihan Martin Phillips as the head instructor of the camp. 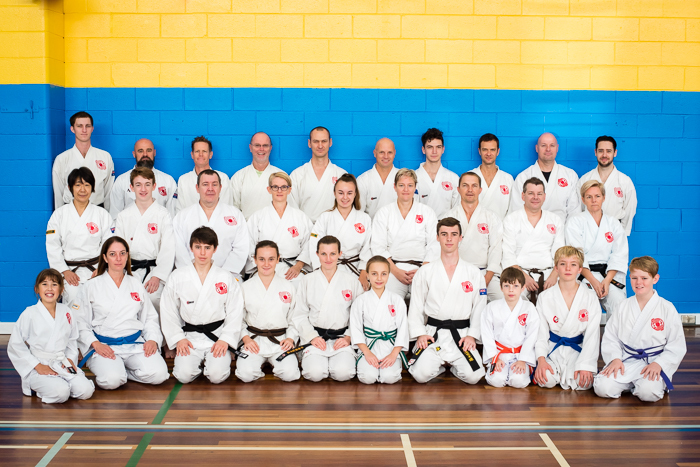 All participants had a great time and learnt a lot about their karate and how they could continue to improve. The weapons training was very popular with some students getting to try out some of the weapons for the first time whilst others got to learn new sai and nunchaku kata. Beach training was also a great session with the cool morning air and sunrise on the beautiful Tallebudgeera beach. 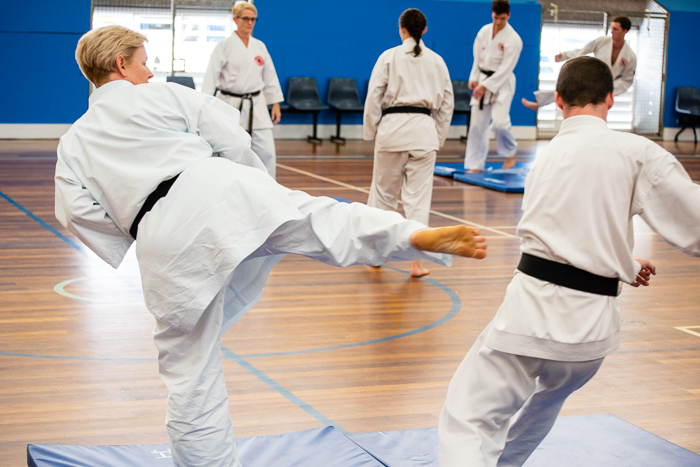 The annual QLD Karate Camp is also an opportunity for students to test for dan and teaching rankings. 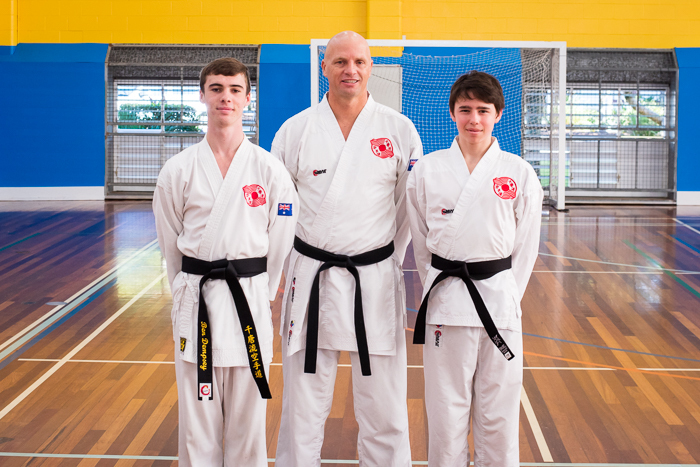 This year Ben Dempsey and Daniel Goldberg both tested and where successful in gaining their Shodan (Ben) and Junior Shodan (Daniel) ranks. Both boys performed very strongly at the grading showing they had been doing a lot of hard work in their preparation. 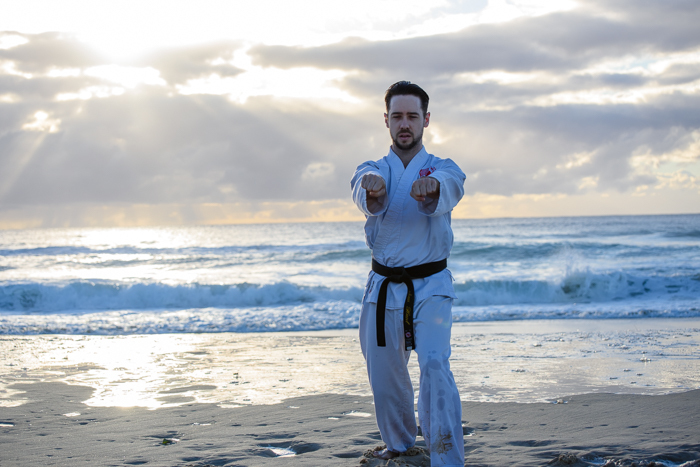 The next QLD Chito-Ryu Karate Camp is to be held on the Sunshine Coast in 2019. A Day Session at the Gold Coast Dojo for Brown and Black Belts. 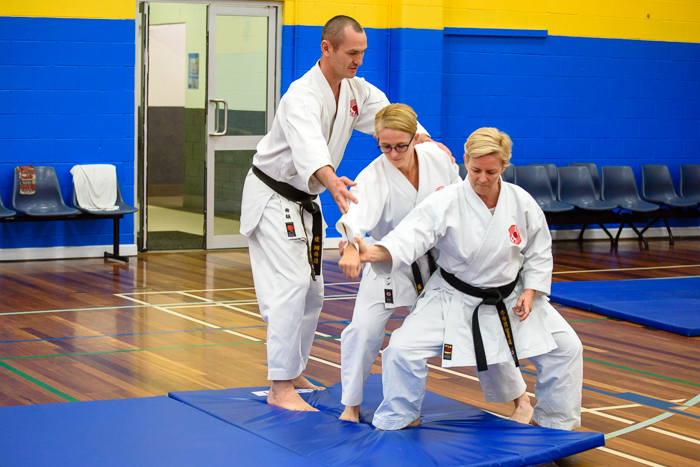 Shihan Phillips put the participants through their paces. After running through a fast warm-up of kihons the participants went through the entire Chito-Ryu kata syllabus from Kihon Dosa Ichi to Rohai Dai. This was followed by Niseishi Bunkai and Henshuho 1-20. 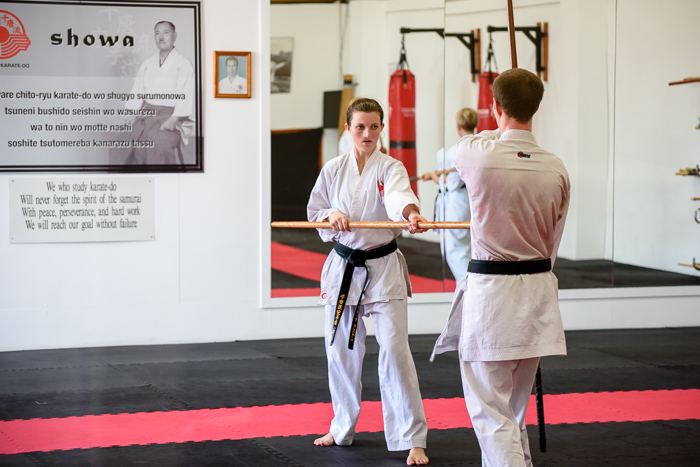 Lastly students went through Chito-Ryu Bo syllabus, and finally finished with the newer Ryukyu Bo, Sai and Nunchaku. A very full-on session that provided a great opportunity to see where everyone was at and work out some areas to focus on for the camp. The evening session was the first session at the camp location with all levels put through an hour of hard work to let them know what to expect over the next couple of days. The first session of the day kicked of at 6am with seiza. 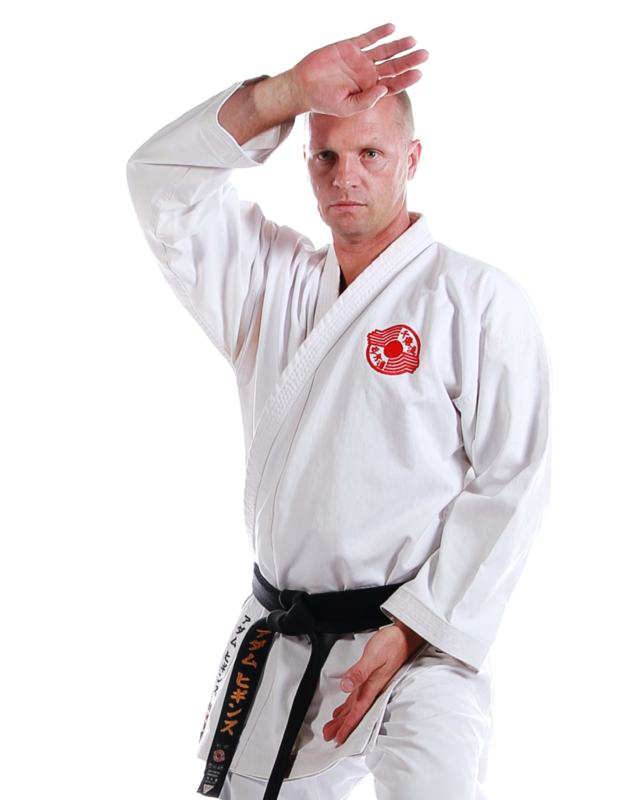 As most people train on the nice soft mats in their dojo the hard wooden floor for 20 minutes of seiza was a great challenge/experience. 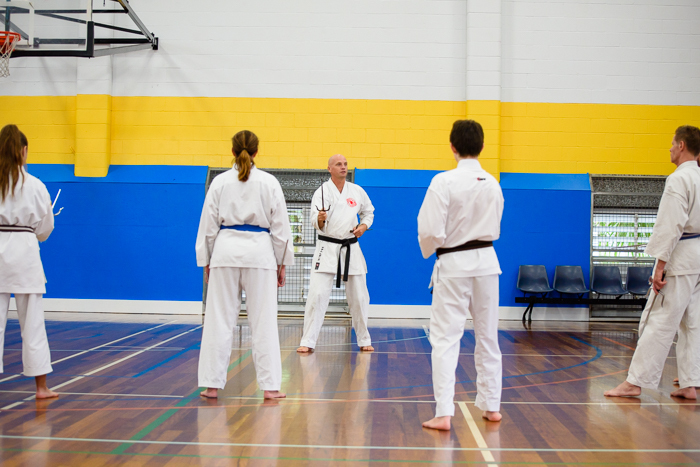 The first session then featured lots of basics with Shihan Phillips using the entire length of the hall to allow students to focus on their eyes whilst performing their basics. After a good breakfast the second session was underway with a couple of different groups formed to focus on different areas of training including the bo and sai. This was a longer session but the time flew with everyone fully engaged in their training. A top up on fuel with a nice lunch and the afternoon session was underway. This time some of the black belts got to work on their teaching skills taking different groups through bag work, kata and throws/break falls before finishing with some kumite work. The last part of the afternoon session was the dan gradings with Ben and Daniel performing well to successfully obtain their black belts. Dinner at the camp is a great time for everyone to get together and socialise and there was a great vibe as everyone enjoyed their meals before heading to a meeting room to watch some old karate footage of some of the senior students, the 60th anniversary promotional video and then some kumite of one of the top opponents that Shihan Phillips competed against in his competition days. Beach training is always a highlight of the camp and we were blessed with a beautiful morning for seiza, kihon, and kata before heading back in to the camp dining room for some breakfast. Returning to the training hall the first part was the presentation of black belts to Ben and Daniel along with the customary camp group photo. Then the training began with again a long morning session. It was great to see all students continuing to work hard and push their tiring bodies to do even more. It was pleasing to see every one kept going to the end of the session including the younger ones. For this session students got to do some partner work and get some ideas on how to manipulate the opponents body with locks and holds whilst others continued to work on weapons. The final part of the morning included some more henshuho for the senior students. The final lunch for the camp was scoffed, rooms were cleaned up before the final karate session was underway. 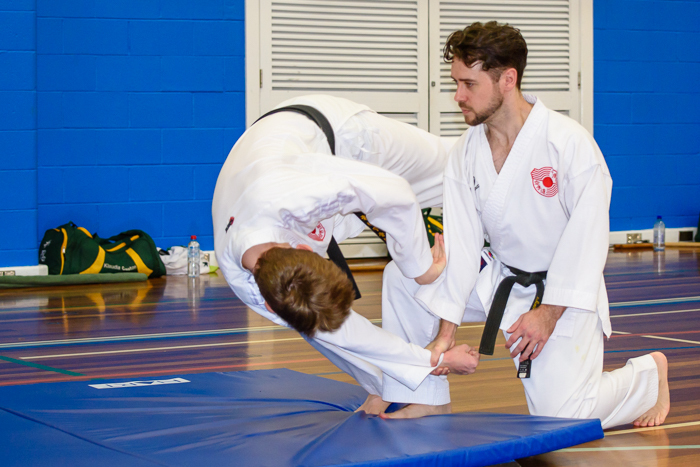 As is traditional at the QLD Karate Camp the final session was devoted to demonstrations of what people had learnt over the weekend. This is a great chance for some of the parents who come a bit early for the pick up to see what had been going on at the camp with many appropriate gasps and nods of appreciation as they watched from the sideline. 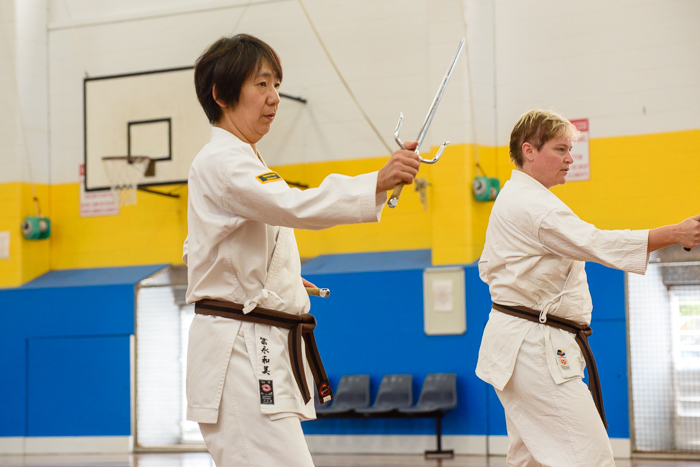 Demonstrations included kata, kobudo and henshuho. With the demonstrations finished we still had a little bit of time left and so everyone was given the opportunity to leave early but all decided to stay a little longer to get just a bit more training in as Shihan Phillips took the black belts through a detailed explanation of henshuho 16-20 whilst the kyu ranks stayed around to watch. The end of a great camp with lots of tired smiling faces headed home eager to come back to the next one.